Travel + Leisure readers voted on the worst airport security checkpoints in America, and the one deemed most annoying was Los Angeles (LAX). Everything from long lines (due to the hub’s numerous international flights) to celebrities and their accompanying paparazzi made this airport the one that flyers dread passing through the most. For East Coast travelers, the second most-hated checkpoint was New York’s LaGuardia airport, due to its small size yet large volume of passengers. Nearby Newark Airport in New Jersey came in third, and Philadelphia and New York’s JFK airports rounded out the top five. Read the full list, ranking 14 airports nationwide, here. Overzealous or dishonest TSA workers, confusing security line layouts, and fellow flyers were all cited as reasons that airport security was irritating. The Travel + Leisure survey also noted the unpredictability of security lines as being one of the most frustrating aspects of travel, as it can be impossible to predict how long the wait time will be, meaning that flyers often end up waiting at the gate for ages, or scrambling to make their flight after a lengthy line. Do you agree with the list? 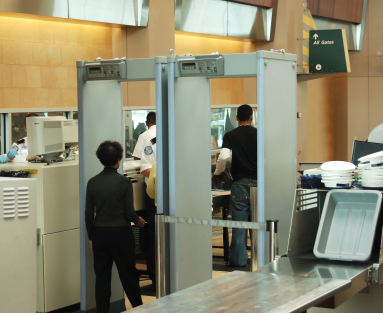 Tell us in the comments which airport security checkpoint you dread the most. Why is the TSA Removing X-Ray Body Scanners from Certain Airports?